I’ve made good progress so far this month, in spite of some real-life distractions. 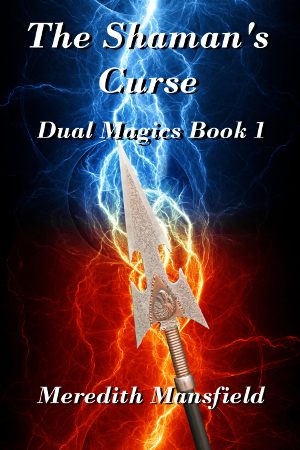 All of it, so far, related to the first book in the DUAL MAGICS series, THE SHAMAN’S CURSE. I’ve completed the first draft of the DUAL MAGICS short story “Modgud Gold” (actually, it’s not that short). It’s one of the things I’ll be working on while beta readers go over THE IGNORED PROPHECY next month. I’d hope to have beta readers on it in October and release it in November, ahead of TIP. I’ve even started looking at potential cover art for “Modgud Gold”. I’ve also blocked out another DUAL MAGICS short story (this one really is short) that might be one of two to be published between THE IGNORED PROPHECY and the as-yet-untitled third book in the series. I’m also making good progress on THE IGNORED PROPHECY. This pass, I’m trying to read it more or less as a reader would–quickly. I’m fixing some things as I go, but mostly marking a few chapters that I’m going to need to come back to for a closer revision. I’m on schedule, I think, to get this into the hands of beta readers next month. I am still immensely pleased with the performance of THE SHAMAN’S CURSE. Thanks to all the readers who’ve made that possible. And especially to the ones who’ve left reviews.